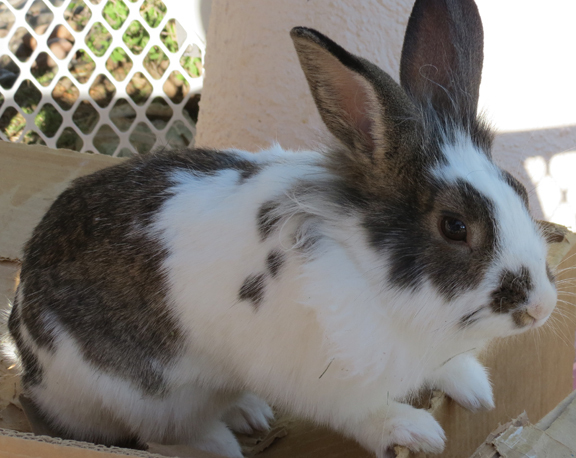 We are sad to announce the tragic death of Odie, one of our pet rabbits. He leaves behind his brother Mocha and his dog brother and sisters, Baily, Daisy and Lulu. He died at 3:35 am, Nov. 15, when a coyote ravaged his cage on the porch, dragged him out and mercilessly ate him. We were unable to save him. I’m sorry little buddy! Rest in peace. Wow Rondi, that is awful! Poor Odie. We have seen a coyote around lately . Better take the other rabbit inside. Sorry to hear about your rabbit’s demise : (……damn those wiley coyotes!